Some time ago, Ninebot released its KickScooter arm series with 2 sound products in it, the Ninebot ES1 and the Ninebot ES2. 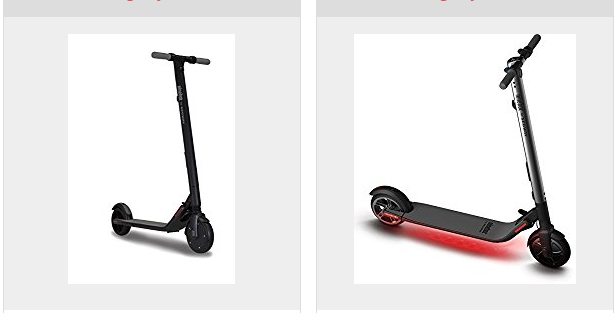 In this post, we would mainly focus on the Ninebot ES1 but would let you the main difference between the two, so it would let you decide on the perfect scooter to buy that would fit your personality. 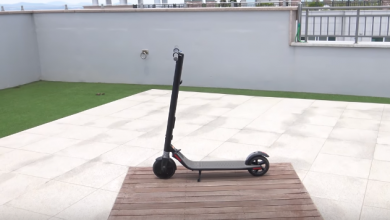 Before during and after the scooters release, it caused lots of talks and so many people are showed and are still showing interest on the devices has it comes with lots of features that make them stand out. Let’s get to meet the device in details. 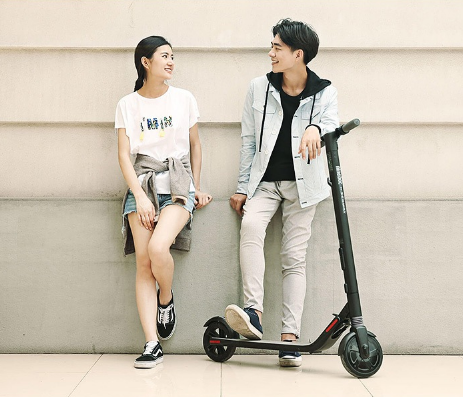 The Ninebot ES1 Folding Electric Scooter comes in a very classic and eye-catching design presenting you the beauty of fashion. It adopts a unibody aluminum alloy, which makes it ready for any rugged terrain without fear of breakage or faults. 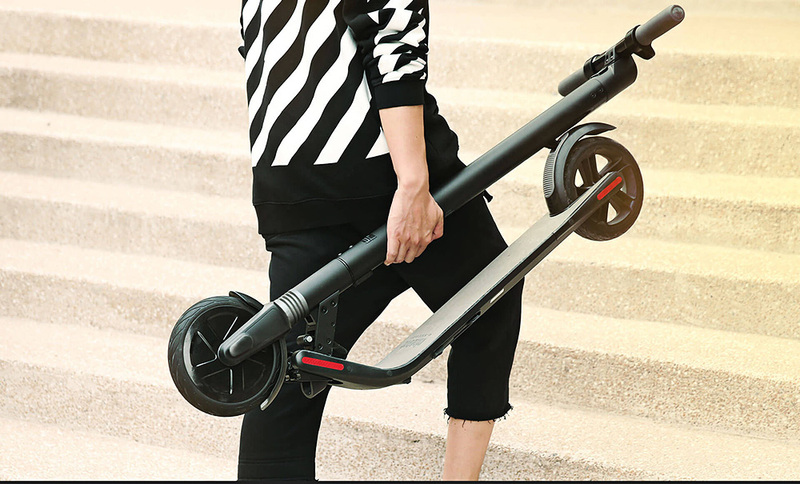 The scooter is very light but with high strength making it easy to carry anywhere you go with only one hand(An ideal ally to be your travel companion). 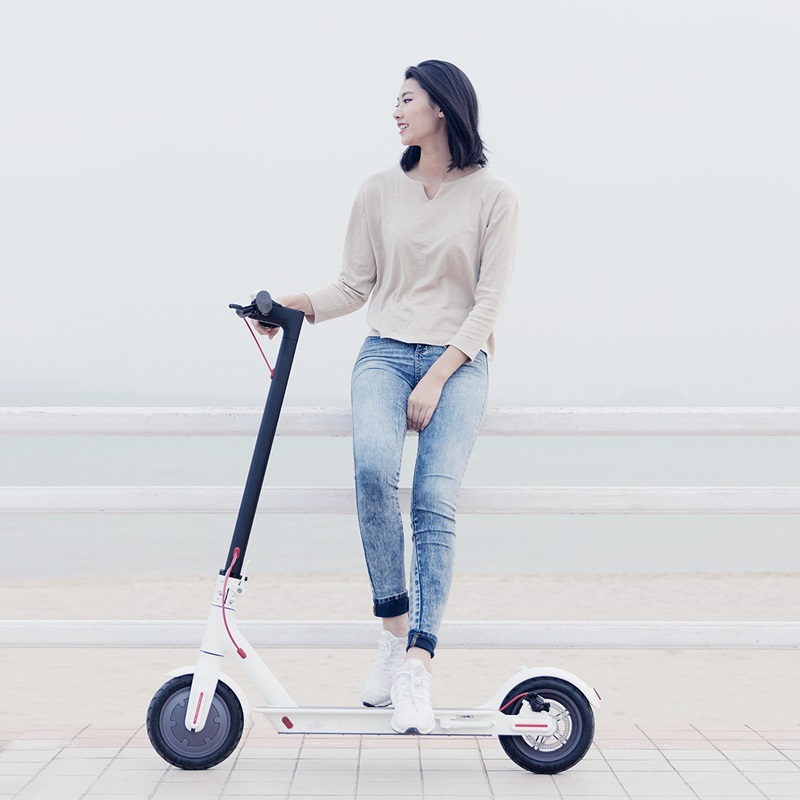 The Ninebot ES1 was fabricated in such a way that no single cable is exposed, having a folding kickstand, LED screen, and a very simple outlook. It can carry a 100kg payload and has IP54 waterproof in the main body with IP67 waterproof in battery part. Talking about the tires, it sports solid rubber tires: 8-inch front tire and 7.5 inch rear tire, with anti-slip texture, shockproof spring and high road-holding ability. The device can be quickly-folded by one switch, with this, it can be folded in no time with a 114 x 15 x 22cm folding size, space-saving and portable to carry. All you have to do is to press the single latch at the bottom of the steering column, pushing the steering wheel slightly forward. The deck is meant to grip shoes while on it as it is covered with a silicone layer that provides excellent grip and eliminating slipping. This silicone layer is very simple and easy to clean. If you wish to clean it, just take a wet sponge or rag and that get the cleaning job done, unlike emery coating. 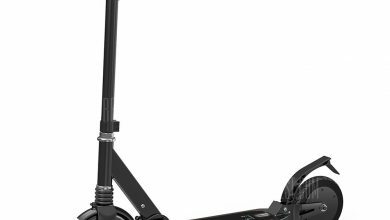 Like earlier said, this scooter comes with some features that set it to stand tall, It comes with a dual-brake system, digital brake, and mechanical brake. 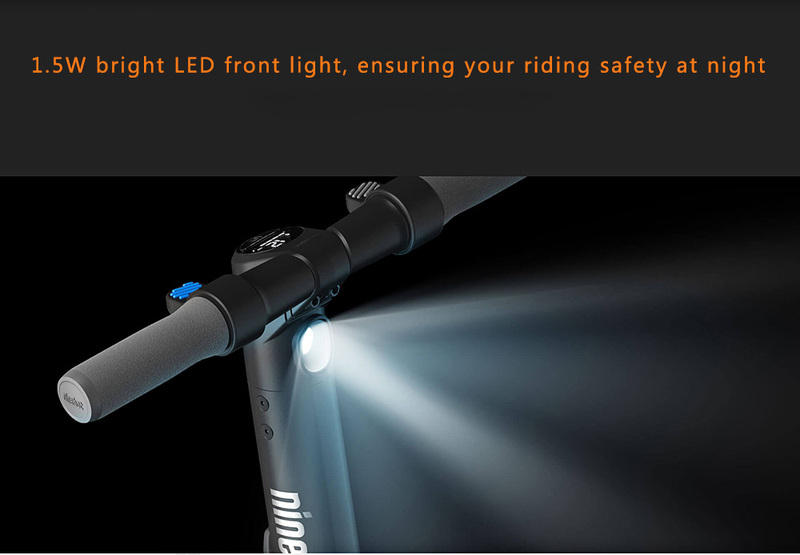 The front wheel has E-ABS anti-lock system, while the rear wheel uses mechanical disk brake which makes it realizes quick response and efficient braking system. The scooter braking distance can be shortened to about 4m, making riding much safer and fun. 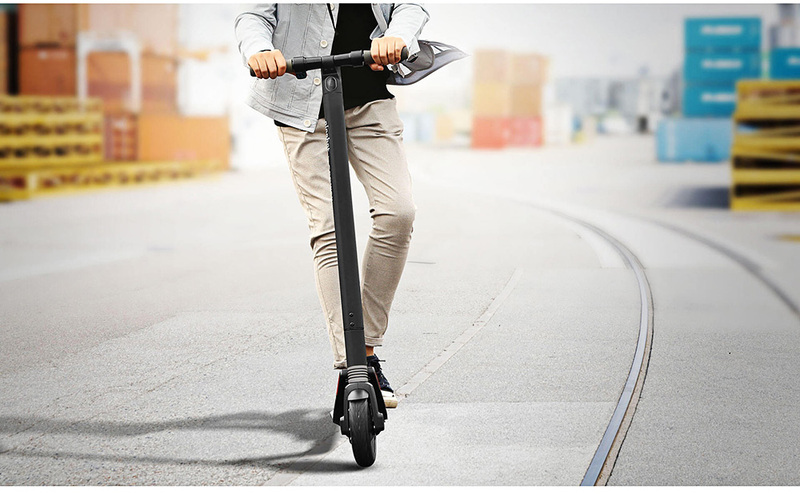 This scooter can travel up to 25km (nearly 20 miles, but the exact distance depends on how fast you go) and at up to 20km/hour (nearly 15.5 miles an hour). It does its traveling almost completely silent without issues or stress. The Ninebot ES1 electric scooter comes with 8-inch wheels and an electromotor with a power of 500W and also an energy recovery system. Thus, it is very comfortable for a city ride. The Ninebot ES1 was made in such a way that you can control it from the screen of your smartphone. The Apps helps to displays the current status of the scooter and some valuable parameters (speed, power, battery level, battery temperature). In the App, you can also block the movement of the ES1, change the settings, set the maximum speed in modes, adjust the launch of cruise control, update the firmware of the controller and monitor its temperature. The steering wheel allows you to make turns more than 45 degrees both to the right and to the left. On the right side of the handle is a gas trigger. On the left, there is an electronic brake. The onboard computer with a bright display is placed in the middle. It displays data on the speed, the level of charge, the kilometers traveled, etc. Below of it, we can find a button, a short press on which starts the device. To turn off the electric scooter, you need to hold the button a little longer. The Ninebot ES1 electric scooter sports a built-in 5.2Ah large capacity battery which ensure your trip is perfect. Expansion battery for higher speed and longer mileage. Now lets quickly spot out the difference between the Ninebot ES1 and Ninebot ES2. 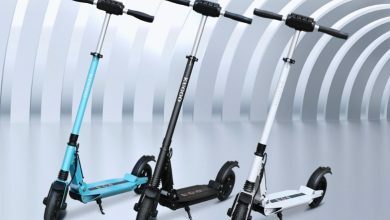 As it already mentioned above, both of scooter look very similar, but there are some improvements that separate the later from ES1, such as the speed limit that can reach up to 25 km/h, while ES1 is only 20 km/h. In the ES2, there is a beautiful decorative backlight on the bottom of the deck but not present in the ES1. There is also an improvement in the battery of ES2. 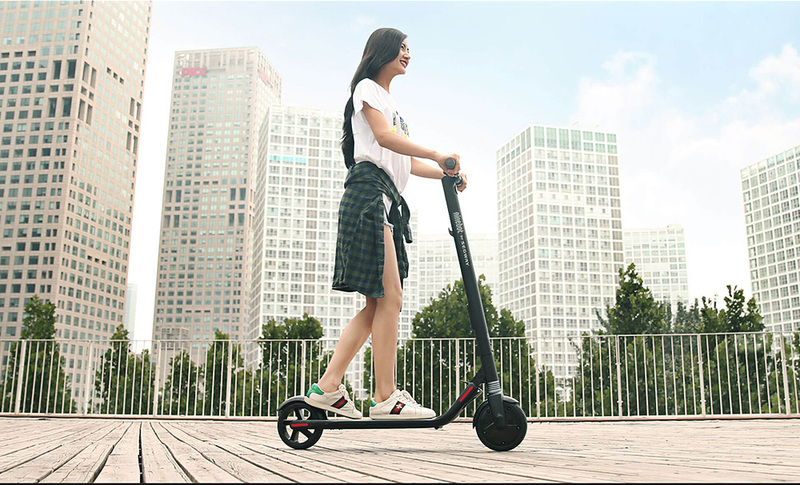 The Ninebot ES1 Folding Electric Scooter is currently available on Gearbest for $319. while the ES2 is available for $540.00 and would be delivered to your destination for free depending on your preferred shipping option and destination.